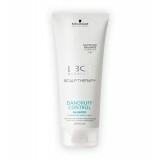 BC Scalp Therapy is the first care range to feed and nurture the scalp, boosting the beauty of hair from within. The silicone free formulation, with Nutritive-Balance Complex, brings together a fusion of essential nutrients combined with an anti-bacterial agent, creating an optimal environment to remedy scalp problems and ensure beautiful hair. BC Scalp Therapy Dandruff Control Fluid Benefit: BC Scalp Therapy Dandruff C..
BC Scalp Therapy Deep Cleansing Shampoo 250mL Benefit: BC Scalp Therapy Deep Clean..
BC Scalp Therapy Dandruff Control Shampoo Benefit: BC Scalp Therapy Dandruff Contr..